A loan of $200 helped to buy additional piglets. Ligaya is 50 years old. She is married and lives at Siquijor, Philippines. In order to earn a living she takes in and raises pigs from their neighborhood. The piglets' owners share in profit upon sale, to be divided 60/40 or 70/30 depending in their agreement. With a desire to earn more, she decided to raise pigs on her own as well. Through Pauglam MPC she obtained the capital to purchase her original piglets & feed. 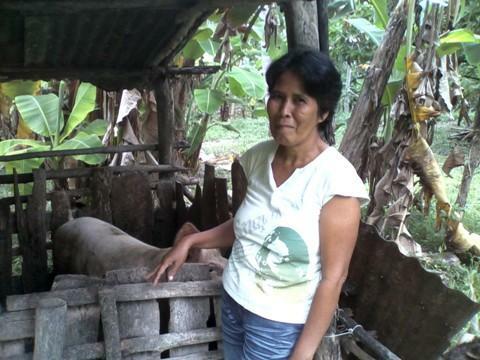 Now, she requests a loan of 9,000PHP to buy additional piglets and feed. She really hopes & prays that her business will grow and benefit her family, in addition to the income of her husband. Someday, she wants to build a concrete pig cage to easily keep more sanitary conditions.